Earlier this week, CNN reported the heartbreaking story of five-year-old Julianna Snow, who was born with a rare, incurable neurodegenerative condition called Charcot-Marie-Tooth disease. 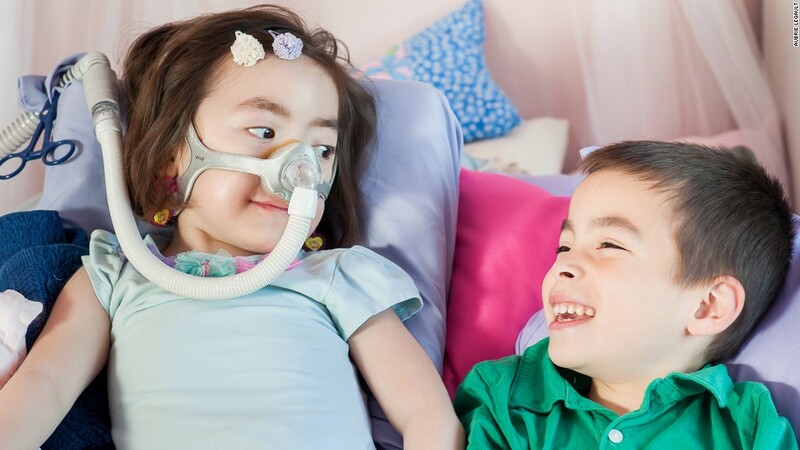 With muscles so weak she has not been able to sit up by herself, Julianna now breathes and coughs only with difficulty, and lives with the reality that even a common cold may soon prove more than her body can survive. Her parents asked her if she wanted to continue going to the hospital for (increasingly invasive and likely ineffective) treatment, or instead, if she wanted to stay home and go to heaven. There is disagreement about what to make of that—how much Julianna can understand about the choice, how much she may picking up on unconscious cues from her parents when they ask her, and more broadly, how much of the choice ought to be hers, or even her parents’, in the first place. For some, the promise of heaven surely rings hollow with false hope. She dreams of it as a place of breathing easily, running freely, and waiting patiently for her family to join her. Skeptics may bristle at that: after all, who wouldn’t pick that? If you’re not religious, the tender wishing at the heart of that picture can sound somewhere between naïve and macabre. But as a former pediatric hospital chaplain, I have to say the hope in heaven isn’t the false hope that worries me most. I’ve been in the ICU with parents keeping machines going and staff working well past the point of medical futility because “unlike those doctors who pretend to know everything,” they refused to give up hope. I’ve been asked to speak to young siblings to explain about “God’s plan,” as they’re trying to sort out why God made their older sister’s car “get broken” by hitting another car. Nobody is pretending it’s easy. Nobody is denying the grief that is or the grief that is to come. I’ve sat on the medical ethics board, discussing a family’s refusal to seek life-saving treatment for their child for religious reasons. The false hopes worrying me are the all-too-easy fallback on miracles for those who believe enough, reasons for suffering for those who ponder enough, or the illusion that faith can and will inoculate us from all harm. It’s that kind of false hope that makes me want to sue somebody for religious malpractice. By contrast, what moves me about Julianna Snow’s family is how honest they have been with her about her medical condition, even as they also taught her that faith says her illness does not have the final word about who she is or about what her destiny will be. They have made room for her questions and for the questions her six-year-old brother also has in light of what’s ahead. In light of a disease that has already denied their daughter too many choices, Julianna’s parents have stood beside her as she decides what it means in her case to choose life. With all of the time I’ve spent around false hope and sick children, I can tell you that this is a different story. In this dark hour, it might just teach us what true hope can be. Thank you for pointing out the contrast between this family’s choice, and the idea that if she doesn’t get healed, someone doesn’t have enough faith… This needs to be pointed out much more often in our US culture! No cheap grace here. I pray for all of them! May God grant them peace and healing.